Who is Liable for Driveway Backup Accidents? | Craven, Hoover, & Blazek P.C. Who is Liable for Driveway Backup Accidents? Driveway backup accidents occur when a child is playing in the driveway, and a person unknowingly backs out of the driveway in their vehicle, causing serious injury or death to the child. Whether the gear was shifted into neutral and the vehicle rolls backwards, or the driver just didn’t see the child behind their car, some form of negligence is usually to blame. The most common people involved in such accidents are homeowners, relatives, friends, and neighbors, since they are the ones most likely to be parked in or near the home of the child. But who is actually liable for driveway backup accidents? The guardians? The homeowners? The driver? Because such accidents vary in detail, assigning liability is not always so clear cut. In most cases of driveway backup accidents involving child injuries, it is either the driver or the child’s guardian (parent, nanny, relative, sitter, etc.) who’s legally held responsible for any injuries or damages caused to the child. Under Tort law, parents or guardians can be considered guilty of negligent supervision, which occurs when a person is in charge of monitoring a child fails to do so, resulting in severe injuries or wrongful death to the child. In the case that a child shifts a vehicle out of gear causing it to back over another child in the driveway, it can be the owners of the vehicle and the property who are alleged liable for the damages. These cases are tricky since it can also be the parents of the victim who are responsible for the accident. Sometimes, the manufacturer of a vehicle can be held liable in driveway backup accidents. 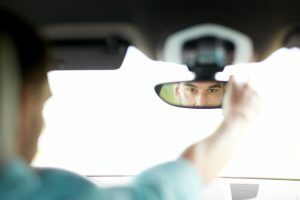 For example, if a vehicle is equipped with defective backup cameras and sensors that failed to sense a child behind it, and as a result a child was seriously injured or killed in a driveway backup accident, it could be a product liability case in which the manufacturer of the vehicle could be held responsible for the accident and subsequent injuries and losses to the family. Although rare, criminal action can be taken against the person or party responsible. They can possibly be charged with vehicular assault or involuntary manslaughter, depending on the circumstance of the case and the state in which the accident took place. Often times, a wrongful death or personal injury lawsuit is filed instead to collect compensation for hospital bills, medical expenses, pain and suffering, and more. Call Craven, Hoover, and Blazek P.C. at 317-881-2700 if your child was negligently injured in Indiana. Our seasoned personal injury attorneys, Daniel Craven, Ralph Hoover, and Keith Blazek, have extensive trial and litigation experience and can recover the full and fair compensation you deserve to get your life back to a functional state. And we do not collect attorney fees unless we recover for you! Call 317-881-2700 to schedule a free initial consultation with one of our Indianapolis child injury lawyers, today. This entry was posted in Child Injury Lawsuits and tagged car accident lawyer Indianapolis, Child Injury Attorney, driveway backup accidents, Indianapolis Child Injury Lawyers, Manufacturer Defects, Negligent Supervision. Bookmark the permalink.